The internet, as an information resource, enables the library to provide access to information, ideas, and commentary from around the globe. It offers access to material that is personally, professionally, and culturally enriching to individuals of all ages. It also enables access to some material that may be offensive, disturbing, and/or illegal. Additionally, not all sources on the internet provide accurate, complete, unbiased, or current information. The Webb Memorial Public Library does not monitor and has no control over the information accessed through the Internet and cannot be held responsible for its content. The Webb neither censors access to materials nor protects users from information they find offensive. Library users access the Internet at their own discretion and they are responsible for their children’s use of the Internet. The Webb encourages you to be a responsible and considerate citizen in your use of the Internet in this public setting. Internet use will be managed in a manner consistent with the Webb’s Patron Conduct Policy. 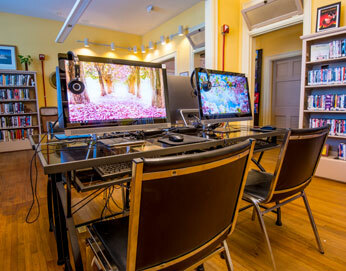 Computers are available on a first-come, first-serve basis. Customers must sign in and have a 30-minute time limit. Time can be extended for job applications and school work. Internet for minors: Children aged 12 and under require parental permission and adult supervision to use an Internet workstation. Anyone aged 13 to 17 must sign the Computer and Internet Use Agreement and have a parent or guardian sign an Internet Parental Permission Agreement. No more than 2 persons will be allowed to work together at one computer. Users may not send, receive, or display inappropriate or obscene material. Library computers may not be modified or altered in any way. Printing costs are 15 cents for every page printed. Misuse of the computers or the library’s internet connection may result in the loss of Internet privileges for a length of time determined by the Librarian/Director.